A shiny new website is exciting, having people know about your new website and visiting it is even more exciting! Bad Penny Factory will design you a website that will get you noticed. Pair that with our SEO program, and your website will be front and center on Search and ready for viewing. 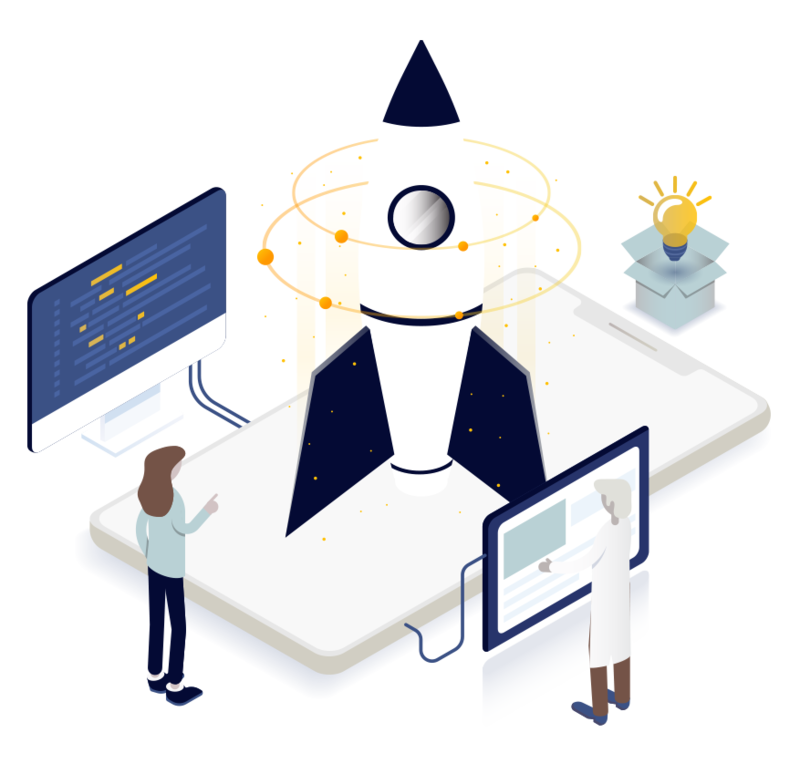 We also design, build and launch microsites – those itty bitty baby sites with a cluster of just a few webpages – that are fully optimized for fast marketing. And, sometimes you just need a new landing page for your latest click funnel campaign, so ya, we do those too. The first step to start your online marketing is to invest in quality SEO for any new or existing website. Search Engine Optimization uses specific keywords to help to boost the number of people that visit your website. Paid digital advertising can help supplement your exposure efforts and boost SEO efforts for even quicker results. Each SEO Program with Bad Penny Factory is rooted in hard data collected, sorted, and analyzed by SEO experts. 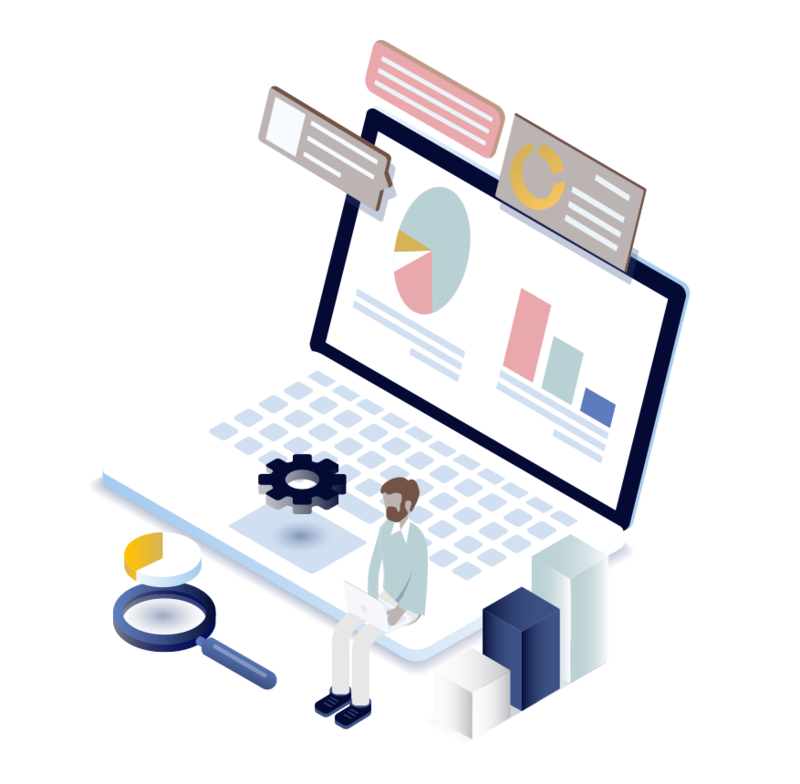 By taking the guesswork out of the process, our program sings with efficiency and our Client Dashboard allows you to see the progress along the way. We create and manage paid ads on Google, Bing, Facebook, LinkedIn and more to ensure we reach your target audience with a boom and a bang! Budgets are set monthly and we do allow for flexible scaling as you transition from season to season. We know we’re tossing around a lot of marketing services and we get that it can be a bit overwhelming when you’re just starting out. Don’t worry, we’re down for spending time with you to discuss the right marketing plan for your business at a budget that makes sense for you. We provide strategy packages that will secure you a set number of hours with a consultant who will audit your existing business state and prepare a go-forward plan to mark actionable items you can do to hit your goals. Our Strategic Plans can be purchased as a standalone or you can roll them into your next marketing program with Bad Penny Factory. Once the reports are completed, they are yours to keep and use as you see fit! Do you create graphics for print and digital? We love to doodle and get how important it is to stay brand consistent with your designs, so whether you are just starting out or already have a full brand book in hand, we can help. We include graphics in our website and ad creation services but folks do take advantage of our talented artists and opt for additional graphic services for galas and events, trade shows, retail signage, social posts and more. 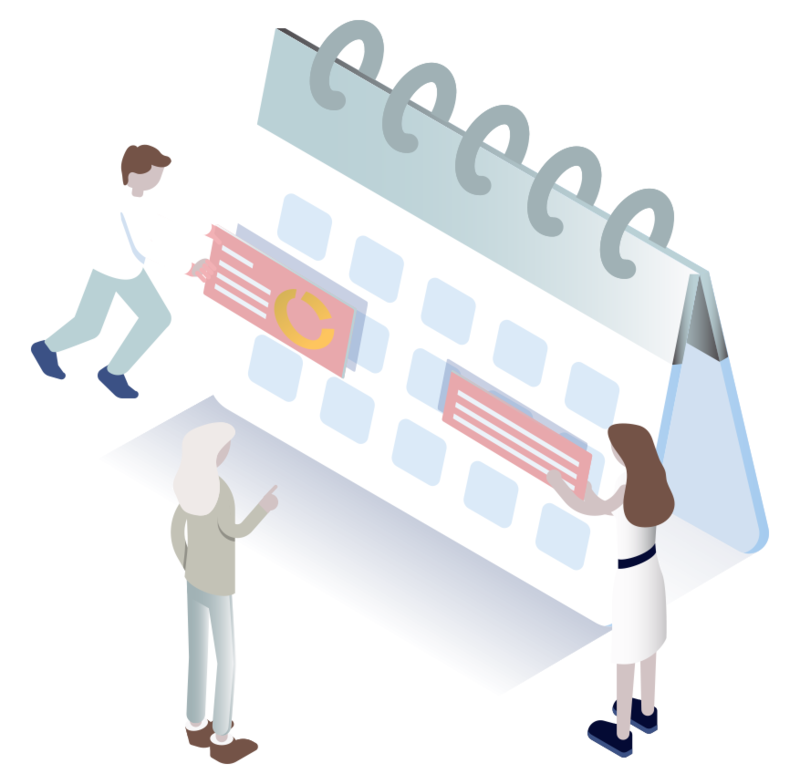 If you know you will need graphic support this year, just give us a hollar and we can build out the hours in one of our retainer agreements. Will you blog for me? Yes! We understood early on that content creation does wonders for your SEO and online reach. We ghostwrite for many of our clients and they love it! Our writers cover many verticals from nonprofits to aerospace engineering. We write the blogs for you and then post them your website and social media channels. We keep the content coming so you can say goodbye to writer’s block. I just need a single poster designed, can I order just that piece? While we love making stuff pretty, unless you are an existing client, we must sadly pass on these types of requests. If ongoing design services are something you need, we do offer graphics and print work with our retainers. But, if ad hoc requests are your thing, there are many great freelancers on the market and we totally support folks seeking out these single project needs on websites like Fiverr. Happy hunting! What are your retainer commitments? We offer 6, 9, and 12-month retainers to our clients. Retainers can range from just 6 months of SEO Services to 12 months with a full suite of support programs that can include a new website, website management, graphics and ad copy creation, social media management and more. We choose the services together and build a retainer package that will work best for you and your business. Do you provide single project services? With the exception of website projects, we work off a traditional retainer system. This means, once we partner with you, we work alongside you each month to manage your online marketing needs as well as all those little tidbits that can pop up at random. We’re a white glove service team and to ensure we provide the best customer service on the market along with kickass marketing support, we only take on clients who are ready to dig in their heels to make things happen. Do you offer Press Release creation and national distribution? Yes, yes we do. We’re big fans of press releases and see them as not only a great way to announce to media outlets the release of something new, but also as a way to boost existing SEO and PPC services. When thoughtfully planned, press releases can be written and released to compliment marketing efforts already in place for your business. We will work with you to draft and target the content and then, after multiple scans from our editors, we will distribute your release either nationally or globally – depending on your audience. Our releases are picked up by CNN, Fox, Yahoo Finance, NBC, The Wall Street Journal and more! Talk to me about banner ads. Banner ads (or display ads) immediately come to mind when we think about online advertising because they stand out so noticeably on the page. They are very common and come in a variety of sizes. These ads can be effective, but they tend to target customers who are not actively looking for something new. They are great as add-ons to existing campaigns and can be just another visual to remind folks that you are just a click away. Display ads can be purchased using a pay-per-click model or they simply can be displayed for a certain length of time. We work with various websites and distributers to ensure you get the reach you need to make an impact. What’s a good starting point for a monthly budget for paid ads? Paid ads are many things, but cheap they are not. We will run an audit against your competitors to see what others are spending and what it will take for you to make an impact; however, a good baseline is to be ready to invest a minimum of about $750-1,000 per month in just ad spend alone. 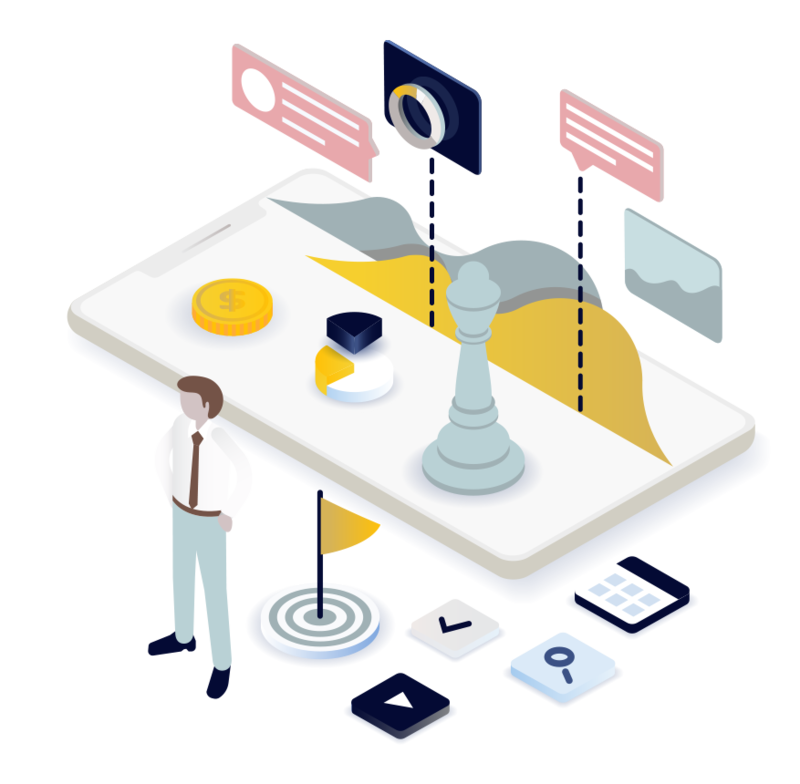 What is digital paid advertising? Paid digital advertising is a marketing method where you pay a publisher such as a search engine like Google or a platform like Facebook each time someone clicks or views your ads in a search result. The more you spend, the more engagement you get from potential customers looking to do business with someone like you! With the right budget and a well written ad, you will get top placement and squeeze out the competition. Search Engine Optimization uses specific keywords to help to boost the number of people that visit your website. This helps it to rank higher in major search engine results pages or SERPs. New website SEO techniques make sure that your website appears on top of the SERPs whenever a potential customer types in a particular keyword, ideally the one related to your business products or services. Are keywords really that important? Keywords make or break your website and digital presence and authority so keyword research is a critical phase that we put our time and effort into. We make an in-depth research and analysis of the popular search terms on the Internet. Our team conducts an extensive study on how your customers search online and analyze search volume, opportunity, and competition using updated and quality keyword tools. Talk to me about link building campaigns. Link building is an integral part of search engine optimization. External links pointing to your website tell the search engines that your site provides valuable information to its visitors. They’re a vote of confidence for your site and they help build up your domain authority and page rank. In short, they are little badges of credibility that tell users that your information is trustworthy. How long does it take to start my SEO Program? Once the service agreement is signed, we can get you up and running with our SEO Program in about 3-5 business days. We spend time pulling in all your data feeds, auditing your keywords, and setting up your very own Client Dashboard. Once the foundation is laid, we get to work building out campaigns and writing all the goodies that make search engines happy. Do you offer SEO Programs for small businesses? Heck yes we do! We know that as a small business, it can be hard to outrank larger companies with in-house SEO experts and huge marketing budgets. Bad Penny Factory delivers SEO designed just for you, using advanced technical SEO strategies to achieve organic search results within your budget so you can hold your own against the competition. How long does small business SEO take? SEO is an investment in the long haul and can take somewhere between 4-6 months for a local business looking to get on the map. But once a site has established itself firmly within organic results, competitors will have a hard time overcoming, which means a strategic advantage for businesses that prioritize small business search engine marketing now.